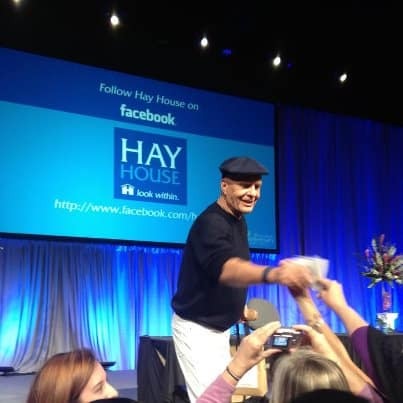 Wayne Dyer leaves his body | Jon Katz, P.C. Underdog does not often post about people who have passed. Wayne Dyer clearly merits that honor. Wayne Dyer has been tremendously inspirational to me on the path to enhancing the success I obtain for my clients, my family, and myself. I have intentionally bypassed many self-help teachers — balancing between Frank Zappa and Norman Vincent Peale — but Wayne is the real McCoy. My wife, son and I had the honor of meeting Wayne three years ago after he gave the opening talk at the Hay House We Can Do It program outside Washington, D.C. He was kind and talked to everyone the same, at his level, seeing them as no higher nor lower than he. Wayne easily could have eased off on his busy travel schedule, but continued criss-crossing the globe to help others right through this year. Over a quarter century after I learned who Wayne was, I first took real notice of him when I watched him in The Shift. My wife was already a Wayne Dyer fan and had the DVD. I was captivated by the clarity of his voice and message alone and about Wayne’s entire approach of clearing the cobwebs on our road to success. His messages resonated with me about such ideas that we are all capable of success because we come from the same source; when we open ourselves to do great things, we will be all the closer to that goal; fear and love cannot inhabit the same place; and anger does not merely originate in a person at the same time that another draws any angry response. Wayne earned substantial income but said he felt little need for accumulating possessions. He was very generous in helping raise funds for his Maui neighbor — and my key teacher — Ram Dass to keep Ram Dass in his home in Maui. Wayne would generously interact with people everywhere and would freely give them free copies of his DVD’s and books. He lived the path of gratitude, generosity and openness to greatness. Deeply bowing to and thanking Wayne Dyer. Sending prayers to him and his family. Thank you Jon for posting this. He truly lived with grace, beauty and divine love.